Hondon Villas are delighted to bring onto the market for sale this beautiful three bedroom two bathroom detached villa. If peace and quiet is what you require this property has just that. 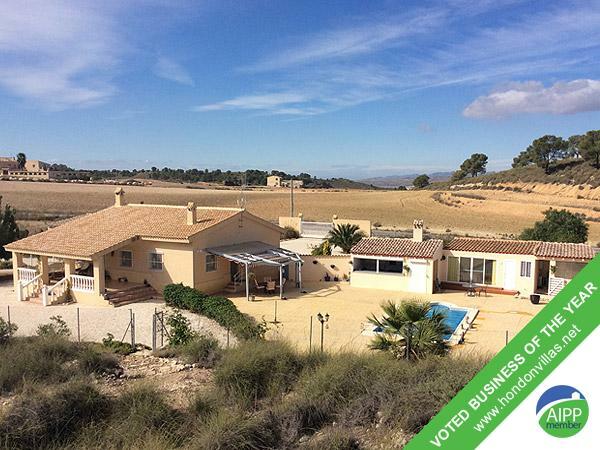 The property is a 10 minute drive from the town of Pinoso and is a 45 minute drive from Alicante airport. The property comprises of a large entrance porch with glass curtains to one side. There is a large lounge/diner with a pellet burner which is both cosy and economical. There is also a good sized fitted kitchen with quality fixtures and fittings and a separate utility room. The main house also comprises of three good sized bedrooms, one of which has an en suite which houses a walk in shower. 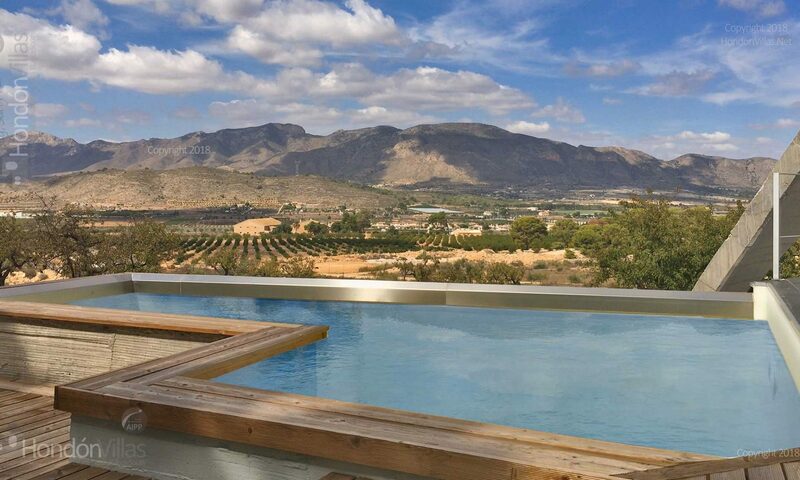 Externally you will find a private swimming pool and a garden room which currently used for storage.There is a large garage which is fully tiled and could be converted into a further Cassita. The one bedroomed Cassita with an en suite bathroom and a fully equipped outdoor kitchen consisting of a stone built oven and marble work surfaces. This property is presented immaculately and has outstanding views of the surrounding countryside. Viewing is necessary to appreciate this property.